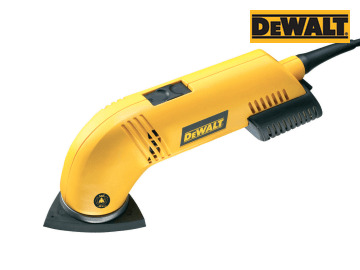 DEWALT D26430 Professional Detail Sander with a variable speed control 14,000-22,000 orbits per minute. Has a high performance motor for long life, and a large orbit size for high stock removal. Dust collection using integrated extraction or external dust extractor for a better sanding performance and sheet life. 360 degree rotating base plate for improved access and uniform sanding sheet wear. Quick fit sanding pad, interchangable with optional attachments. 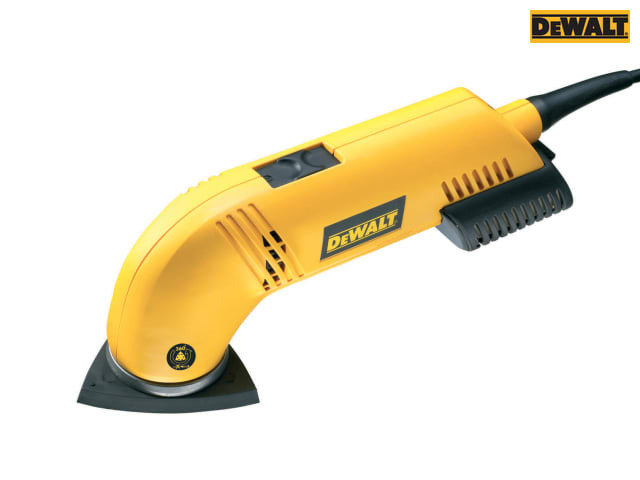 Supplied with: 1 x Dust Cartridge, 1 x Hook & Loop Sanding Sheet.